Travelworld celebrated 40 years in business in 2017. We talk to staff and customers about their experiences with this long established brand. 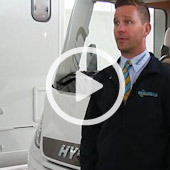 Hymer is 60 years old and the company celebrates its anniversary this year. Watch this video which shows the company throughout its 60 year history. 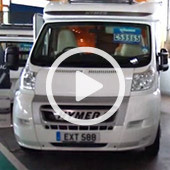 Happy 60th Anniversary Hymer and here's to the next 60. 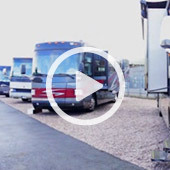 Introducing the all-new Carado motorhome. Travelworld's Nick Barker talks us through the features and specifications of Carado's latest offering to the marketplace. Who Are Niesmann + Bischoff? Goldschmitt are a German company owned by The Hymer Group who have been operating for around 30 years. "Niesmann and Bischoff are a high quality and premium brand from Germany. Originally a very small family style business that has now come under the umbrella of the Hymer group...."
"I’d probably sum up the style of Niesmann+Bischoff to be understated, but to have engineering brilliance......."